Lawn Care Taking A Lot Of your Time and Money? There are many gardeners who take such pride in their lawn. They can spend more time and money on the lawn than they do on other things around their hous e. I guess you could call it a hobby or even a challenge because having the perfect lawn all the time can be somewhat challenging. I must admit it a beautifully manicured lawn is a pleasure to see and those who have one take much pride in it. This is lawn care at it’s best! However it does take some work and commitment to get the perfect lawn. There are many steps involved in achieving the perfect lawn, including fertilizing and thatching in the spring, more fertilizer throughout the year and aerating and over seeding in the fall. One of the best things a person can do for proper lawn care is to not cut too often or over water their grass. Many home gardeners will cut the lawn too short particularly in summer thinking it will grow quickly and so avoid having to get the mower out too often. Unfortunately this is the worst thing you can do as it leaves the roots with little protection from the hot summer sun as the soil will dry out faster. 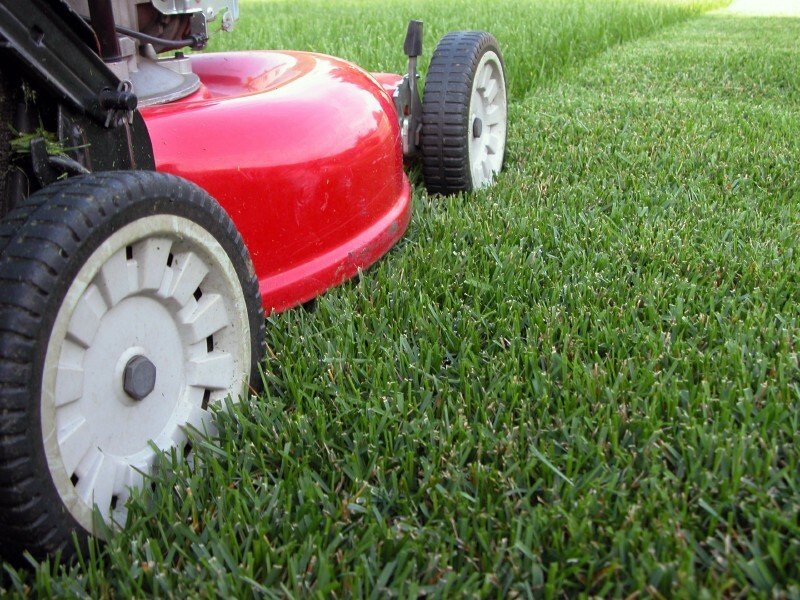 For more on lawn and garden care, click here. Deep watering once or twice a week, depending where you live, is so much better as it encourages the roots to go deeper into the soil so when the top layers of the soil dry out they will be able to survive much better until the next watering. As a general rule of thumb, no more than one third of the blade of grass should be cut off, meaning the grass will probably have to be cut more often but for the lawn carer that’s ok.
As you can see from the video above, you don’t have to be a slave to your lawn. Just do the right thing at the right time each year and your lawn will be as beautiful as this one.